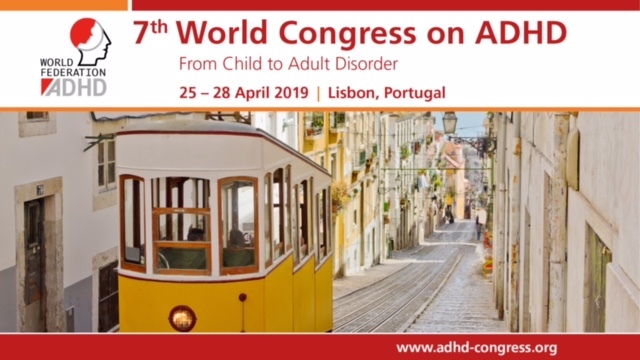 European Network Adult ADHD – Vocal Characteristics of School-Aged Children With and Without Attention Deficit Hyperactivity Disorder. Vocal Characteristics of School-Aged Children With and Without Attention Deficit Hyperactivity Disorder. OBJECTIVES: The aim of this study was to describe the laryngeal anatomy, perceptual, acoustic, and aerodynamic vocal characteristics of school-aged children with and without Attention Deficit Hyperactivity Disorder (ADHD). The predisposition that children with ADHD have for laryngeal injuries are recurrent in nature and are more often than not overlooked as laryngitis. Previous studies have reported varied results on the prevalence rates of pediatric vocal fold nodules within the school-aged ADHD population. STUDY DESIGN: A static, two-group comparison was used in the study to investigate the clinical, perceptual, acoustic, and aerodynamic vocal characteristics of children between 7 and 9 years old with and without ADHD. METHODS: The study replicated the protocol as executed by Barona-Lleo and Fernandez (2016) with additions. The Multidimensional Voice Program and the Voice Range Profile as additions to the assessment of vocal parameters were used with which comparable dysphonia severity index scores were calculated. Once-off clinical, perceptual, acoustic, and aerodynamic voice assessments were conducted on 20 age-gender matched participants (Control group mean age [months] = 98.80, standard deviation = 10.379; ADHD group mean age [months] = 108.00, standard deviation = 10.873). It was hypothesized that children with ADHD would have more hyperfunctional vocal characteristics; leading to laryngeal injuries, than their control group peers. RESULTS: Forty-five percent (n = 9) of the total sample population (both groups combined) had laryngeal pathology. Similar parent reported etiological voice symptoms and vocal habits were seen across both groups. Both groups performed similarly across both perceptual and aerodynamic voice assessments. Acoustically, the control group achieved significantly higher producible pitches than the ADHD group (P = 0.028) and were found to have more dysphonic dysphonia severity index scores than their ADHD group peers (P = 0.034). CONCLUSION: Prepubertal, school-aged children with or without ADHD may have similar vocal characteristics than previously thought. This is in support of the null hypothesis. The authors of the current study recommend that vocal screening in all school-aged children be carried out as an effective measure to monitor voice disorders in the pediatric population. Future research into larger sample sizes with this population with a special focus on the effect that central nervous system stimulants may have on the voice is recommended.